There are those who went east and those who after being there returned west, discovering that the USA, Canada and even Europe are not so bad after all. There are those who made small moves, but also those who never moved and today are having a tough time. 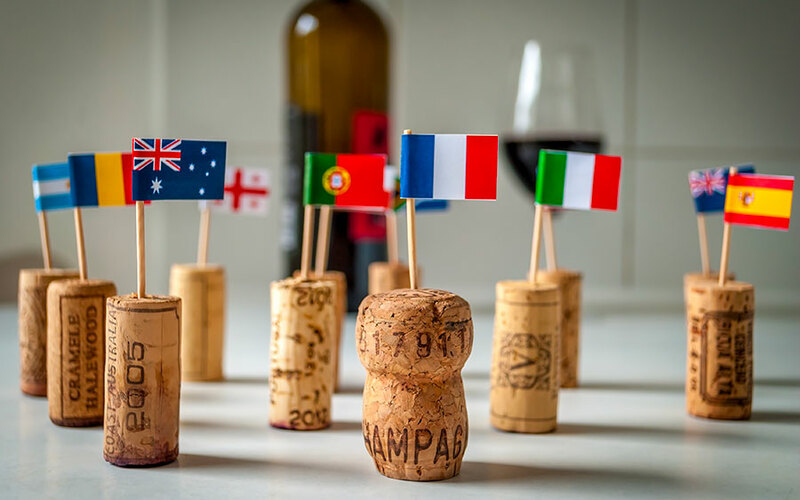 Finally, there are those who – such as Italy – rather than expanding destinations, broadened their wallet by hiding difficulties behind the bubbles in a flute. In the last 15 years, the global wine production industry has come up against a true revolution. A revolution, which, unlike the one in the 1990s, which saw the New World break into international competition, has been rather silent, whose effects seem almost endemic today, as if they had always been there. Yet, enologic seismographs have registered several telluric movements. Between the 1990s and 2008/09, global competition was substantially only on two continental blocks, Europe and North America, with the progressive overcrowding of suppliers (11 main ones) in a handful of countries as a consequence. As a side effect, formidable friction was created in sales mechanisms in Old World countries. So to save their companies from collapsing under the over production, they invented a Common organisation of the markets (CMO) with a sole objective, the drastic reduction in the surplus by stopping production subsidies and eradicating out of business vineyards. While Europe tried with little success to get clean again, in 2009 the world economic crisis exploded, which made the twenty-year strategies, even of the newcomers, short-circuit, the Australians ahead: the wine produced is no longer absorbed, either for a collapse in consumption or the banality of a message that is oversimplified and at times flattering. Markets turn, but this time the New World is saved by Asia providentially breaking onto the global scene, represented by China and its rich appendices, only seen at the beginning by France as a safety net from the drastic drop in sales America experienced after 2005. The chessboard slowly becomes increasingly global and the masses of product between Europe and North America start finding a release valve again. The Australians catch their breath, the Chileans move almost entirely east, while the Europeans – above all thanks to the American market picking up again, which takes the road of the so-called new premiumization – find room to manoeuvre while lost on the way. The photograph of the resettling that the decade between 2005 and 2016 gave us is precisely this: a relative and rediscovered serenity, a sort of armed truce that works more or less for everyone. Only that today – like nine years ago – the global markets, apart from some happy paradises, such as China and surroundings, seem to have entered another reflective moment, if not stagnation. Only a few places and very few types of wine are growing, such as spumante (or better, one in particular …), and some emerging ones that are trying to become a category, copying the success of Pinot Grigio in America: for Italy we can mention the Sicilian Grillo, the Sardinian-Tuscan Vermentino, the Emilian Pignoletto, while for the French we have rosé and Grenache in pole position and for the Spanish there is Albarino, apart from Garnacha. Other phenomena are coming back, such as New Zealand’s Sauvignon Blanc, which is leading the exploits of the Kiwis in the USA and Europe, while Chileans, Australians, Argentines, Americans and South Africans are trying to find new and rich territories for their thoroughbred wines, while they too are waiting to pull an ace out of their sleeves. An ace that – mind you – always has less identity than a specific varietal wine and more often the distinctive, or plain instead, characteristics of a kind of philosophy: green, sustainable, generational or lifestyle wine, precisely because we have understood that the vineyard can no longer be used as a valid mantra for all ages and all generations.